Calling all parents! 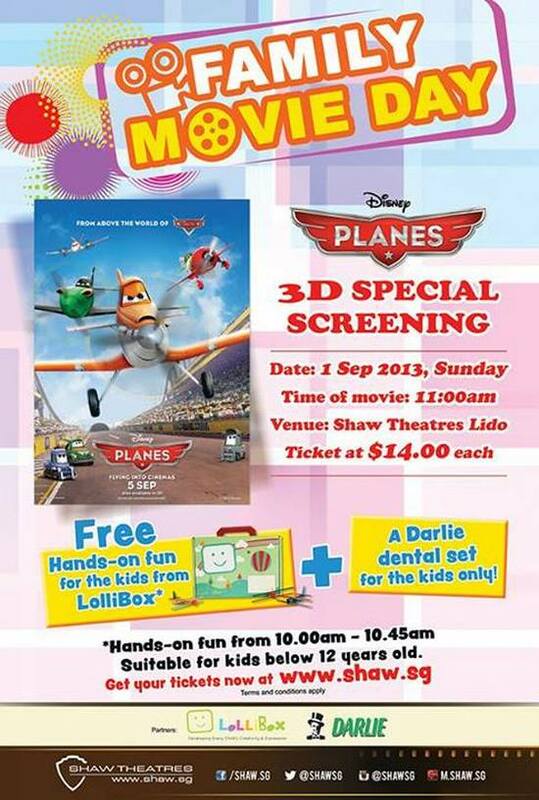 Catch this 3D special screening of Disney’s PLANES on Sunday 1 Sep 2013, 11AM at Shaw Theatres Lido. Plus! FREE! Hands-on fun from LolliBox and Dental set for the kids!